This a poster for use in writing workshop. It's a reminder of what students can do when they're done writing a piece. 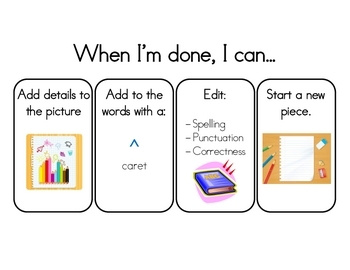 It can also be added to students' writing notebooks.